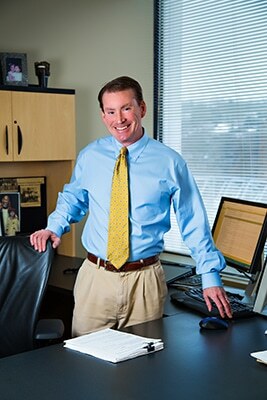 Mike John founded NNE in 2009 and has served as President since the company’s inception. Mr. John previously served as Vice President of Operations of the Eastern Division for Chesapeake Energy from 2005-2009. 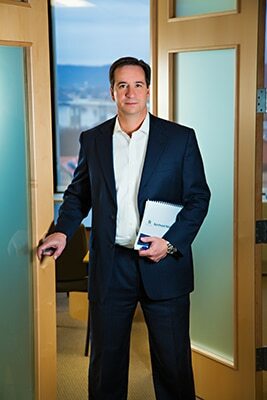 Prior to joining Chesapeake Energy, Mr. John held various senior executive roles at Triana Energy/Columbia Natural Resources, where he also served on the company’s Board of Directors until Columbia Natural Resources was sold to Chesapeake in 2005. During his time with Chesapeake, Mr. John was instrumental in the drilling, completion, and operation of Chesapeake’s initial 100 horizontal Marcellus wells in Appalachia. Mr. John is a West Virginia native and a 1981 graduate of West Virginia University with a degree in petroleum engineering. He serves on the Board of Directors for the WVU Alumni Association and resides in Charleston, WV with his family. 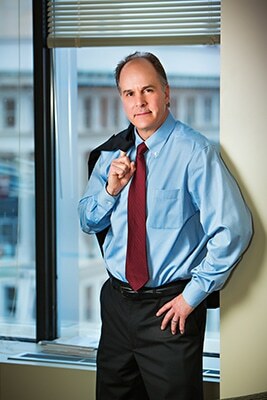 John Adams is a founding executive of NNE and serves as VP of Operations. He previously served as Director of Reservoir Engineering for the Eastern Division of Chesapeake Energy until 2009. In 2001 he helped form Triana Energy where he was Director of Engineering after beginning his career in the energy industry in 1986 as a Reservoir Engineer at Columbia Natural Resources. Mr. Adams received his MBA from the Graduate College of West Virginia and a degree in Petroleum Engineering from Marietta College. He resides in Charleston, WV. 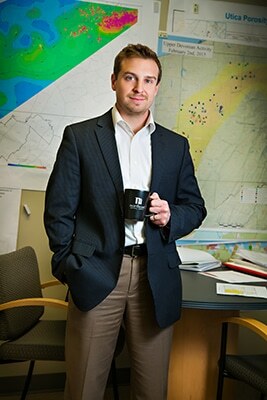 Prior to joining the management team of NNE as VP of Geosciences in 2010, BJ Carney held the position of Geoscience Coordinator of Chesapeake’s Marcellus shale development team. He served as lead explorationist for Chesapeake’s Eastern Division and was instrumental in the company’s entry into the Marcellus shale play. 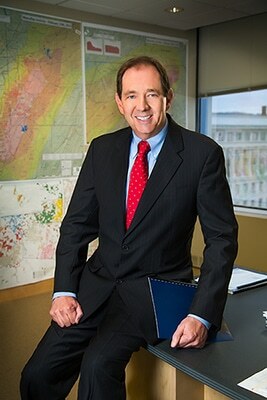 In 2001 Mr. Carney joined Columbia Natural Resources and held various geologic and geophysical positions. His energy career began at Marathon Oil Company in 2000 as an Exploration Geophysicist, working assets in the Rockies and the mid-continent. Mr. Carney received a B.S. in Geology and an M.S. in Geophysics from Virginia Tech. He resides in Charleston, WV. Chris Mullen joined the NNE team as VP of Land in 2010. Gaining vast experience in the coal, oil and gas industries, Mr. Mullen practiced oil and gas mineral law in the Appalachian Basin before joining Energy Corporation of America (ECA) in 2003 as a corporate attorney. In 2006 Mr. Mullen was appointed ECA’s Director of Land where he was responsible for the management and oversight of all functions in ECA’s Land Department for the Eastern Region. He graduated from West Virginia University in 1992 and received his law degree from St. Thomas University School of Law in 1995. He is licensed to practice law, and is an active member of the bar associations in the states of West Virginia and Texas. Mr. Mullen resides in Charleston, WV. Sam Sommerville has served as NNE’s VP of Finance since 2010. In 2003 Mr. Sommerville became Chief Financial Officer of Reed Brothers Limited Partnership, an Appalachian oil and gas exploration and development company. While with Reed Brothers, he was also the CEO of a wholly owned oil and gas construction/service contractor. His career began in 1977 when he joined Simpson & Osborne, CPAs, and during his tenure served as a partner, member of the executive committee, VP, and President. Mr. Sommerville graduated from Glenville State College with a B.A. in Business Administration. He resides in Charleston, WV. Prior to joining NNE in 2010 as VP of Regulatory Affairs, Mr. Loflin was the Director of Regulatory Compliance for Atlas Energy. 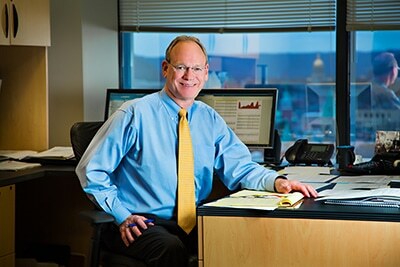 He served as the Manager of Regulatory Compliance at Chesapeake beginning in 2006. For over 20 years he was the Program Director of the West Virginia Oil and Gas Conservation Commission, and serves as the Committee Chair of Governmental Affairs for the Independent Oil and Gas Association of West Virginia. Mr. Loflin graduated from West Virginia University with a degree in Petroleum Engineering and lives in Charleston, WV. Diane Marcotte Corwin brings 37 years of oil and gas experience to NNE in her role as General Manager of Operations. Diane’s prior experience includes spending the last 15 years in the Appalachian Basin, in roles with Stone Energy as Operations Manager and Seneca Upshur Petroleum as Vice President and General Manager. Prior to that, Diane spent 21 years with Chevron Corporation working in various places, including California, the Gulf of Mexico and Angola, West Africa. She is a Louisiana native and a graduate of Louisiana State University with a BS in Petroleum Engineering and earned her MBA from Tulane University. Diane lives with her family in Morgantown, WV.